Jim Bailey serves as the Director of Strategic Initiatives in the College of Communication & Information Sciences at UA. 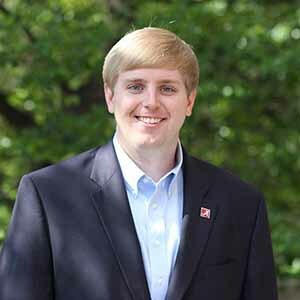 A former UA Honors College student who also served as the college’s Assistant Director of Student Services, Jim’s professional and academic interests focus on colleges and universities, particularly higher education policy, finance, strategic enrollment management, and student success. He is currently writing his dissertation for a PhD in Higher Education Administration and teaches a UH 300 course on the American higher education system and how colleges operate.